The videos were produced in association with Argos. The equipment used on-set can be found at Argos: Dualit toasters, spacious larder fridges, built-in integrated appliances like these practical and easy-to-access ovens. 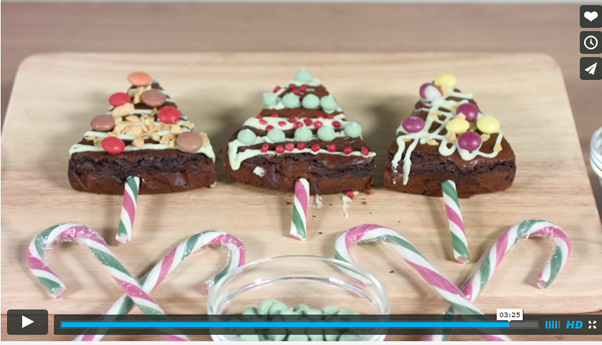 Christmas tree brownies, great idea, they look such fun! These trees would attract the child in all of us.